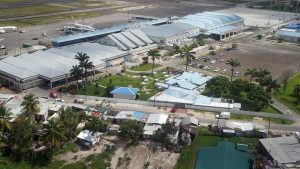 Government’s decision to drastically alter the designs for an expanded Cheddi Jagan International Airport, Timehri, is highly irregular. According to former Minister of Public Infrastructure under the People’s Progressive Party/Civic, Robeson Benn, he raised the issue with the media on Wednesday after he was hauled in for questioning over the Pradoville Two project. Benn’s responsibilities had included overseeing the portfolios of the air transportation. 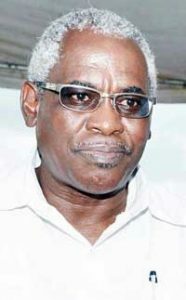 Benn and former PPP/C ministers and ex-president, Bharrat Jagdeo, are facing fresh investigations into the building of that exclusive community which was sold way below market price to a number of ministers. Benn’s comments on the CJIA project would be premised on his insistence that the current government has real cause to go after that airport project, instead of wasting time on cases that has no merits. What Guyana is getting, instead of a new terminal. With regards to the airport, there have been growing concerns about what Guyana is getting after committing itself to spending US$150M that came largely from a Chinese loan. It would have given Guyana a brand new terminal building, several passenger bridges, a longer runway, car park, generator rooms and other modern fixtures. However, instead Guyana is getting a refurbished old terminal buildings and a smaller arrival area built next door to the old one. It appears that the monies have run out and the issue of value of money is very real and a matter of concern for Guyanese. There are only two of several passenger bridges installed with government asking the National Assembly for $300M more to buy two more. The project was controversially inked by the PPP/C in late 2011, in the last days of the Bharrat Jagdeo presidency. The then government argued that Guyana had a small window of opportunity to capitalize on Chinese funding and the project was birthed from this. A Chinese Vice Premier had toured the Caribbean months before and committed millions of dollars for funding of infrastructure projects for the region. However, the project started off on the wrong foot when Guyana learnt that a deal with China Harbour Engineering Company had been secretly signed in Jamaica. Guyana only learnt of it through the Jamaican media. The fact that the project never went to tender also raised alarming questions. The Coalition Government had plugged higher material costs and other factors that caused the project to run into difficulties. It was also claimed that the contractor had collected about 70 percent of the monies in 2015, when the Coalition Government entered office, with only 30 percent of the work done. China Harbour itself is under fire for allegedly illegally using its equipment at the MovieTowne project, Turkeyen. There have been no talks whether CHEC has been sanctioned for the project being delayed. It was supposed to be finished in 32 months. It is now almost five years.